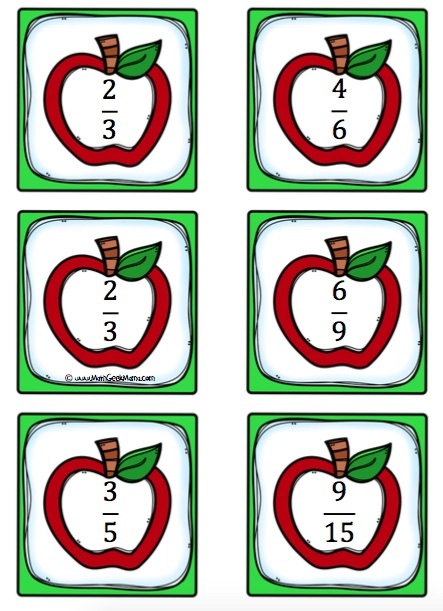 FREE Apples Equivalent Fractions Matching Game! Understanding fractions is such a tricky thing. 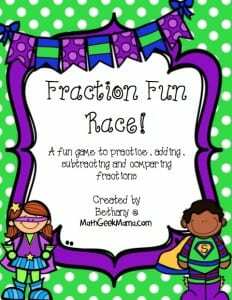 But if you are looking for a fun and quiet game for kids to work on reviewing fractions on their own, try this fun and easy matching game! 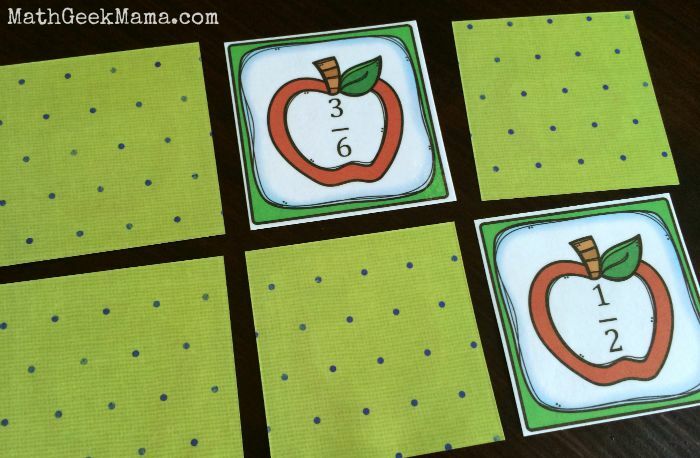 This Apples Equivalent Fractions Matching Game is easy to prep, and can be used as a math center, independent practice, or with a small group! 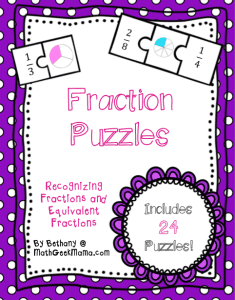 If you are just introducing your kids to fractions, I highly recommend using a variety of tools and hands on manipulatives to help them visualize fractions and see why some fractions are equivalent. 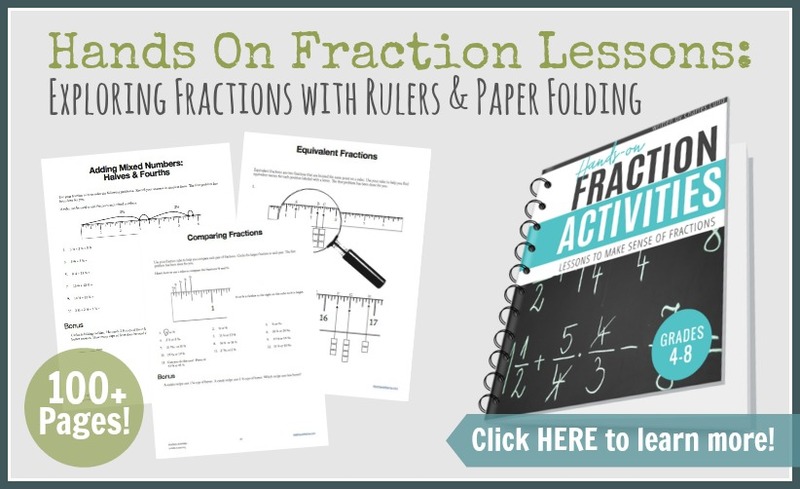 You may also like my collection of fraction lessons using rulers and paper folding. This provides helpful visuals, plus reinforces important measurement concepts as kids learn to correctly use a ruler. 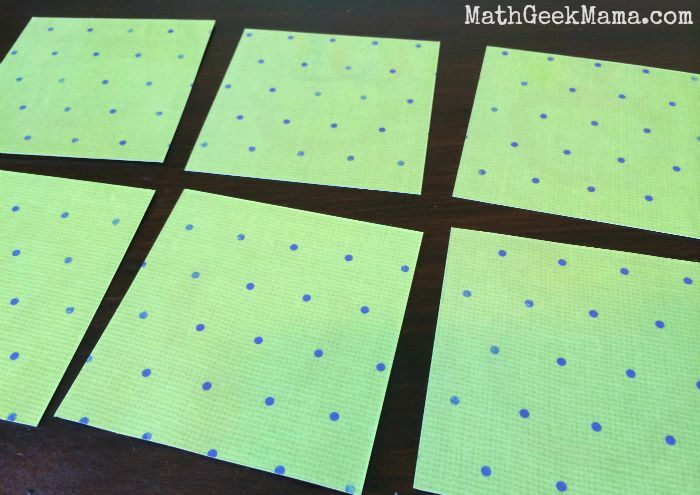 This matching game includes 32 different cards to practice recognizing and matching a variety of equivalent fractions. To create it, I first printed the cards on scrapbook paper because it is thicker and had a cute design on the back, so the apples didn’t show through. First, arrange the cards face down in equal rows. Player one then turns over 2 cards. 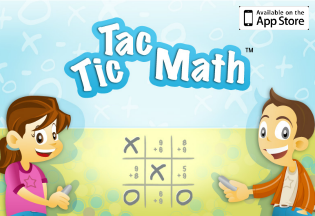 If the fractions on the apples are equivalent, player one gets to keep the match. Otherwise, they turn the cards back over and it is player two’s turn. Player two then does the same thing, and play continues until all the matches have been found. The player with the most matches wins! Please note, there are 18 possible matches, but some fractions have multiple options. For example, there are three different cards that are equivalent to 1/2. This is to help students see patterns and understand that there are many ways (infinite, actually) to represent various fractions. If you don’t have multiple players, this could also be used independently as a quiet review activity. 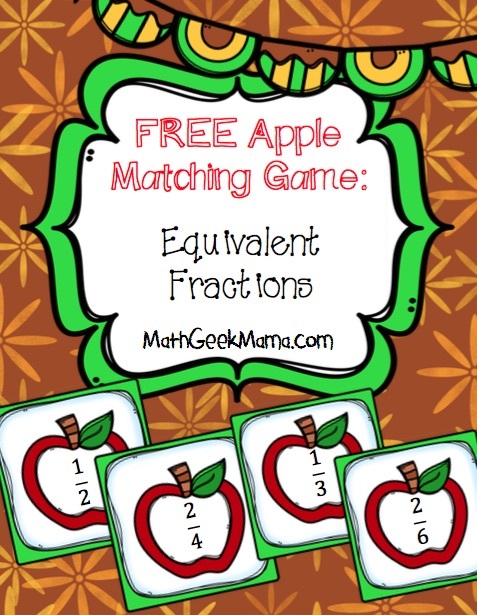 I have you have fun with this fun, apples equivalent fractions matching game! Love learning math with apples? 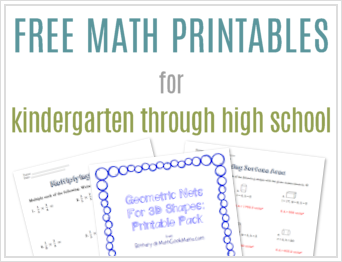 See my complete collection of Apple Math Lessons here.